George Munengwa might not have reached the status and stature of Ashish Takker, African’s youngest billionaire, but he could soon follow in his footsteps if his zeal, passion and determination to work hard are anything to go by. For a young man who at one time wanted to become a football star and went for trials with Dynamos, Munengwa has carved his name among luminaries in the business community in Zimbabwe. 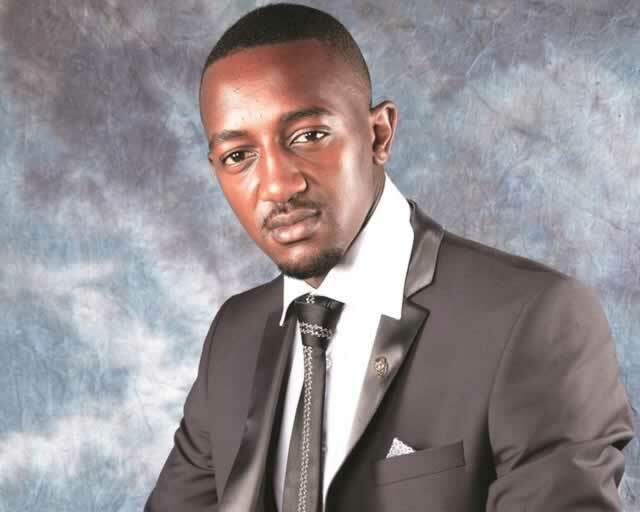 At 32, he owns a fully-fledged company in refrigeration and air-conditioning, ProAir Zimbabwe, setting the pace for most of his peers who are still fascinated with fashion and pimping up their wheels. “I am steadily getting into the track that I have always admired from a distance. I was born a businessman and I have set my sights high,” said Munengwa in an interview recently. Formed in 2012, the company provides complete sales, installation and back-up services in air-conditioning and refrigeration, joining a coterie of other service providers in that sector. Although the company is barely three years old, it has managed to consolidate its operations locally, growing its brand in the corporate world and also at household level. Munengwa says what he has achieved is as a result of a good working culture, determination, perseverance and good planning, tenets he picked up from his peers and teaching staff he interacted with from the several schools he attended. He also attributed his success to the good foundation his father laid for them after investing all his earnings and savings in good schools for his children. “My father, who was working for the City of Harare then, could have lived a lavish lifestyle from the money he was getting and could have moved from Glen Norah, and bought himself a house in some of the leafy suburbs. But he did not do that, he invested in our education, which gave me a springboard into the world,” said Munengwa, who went to Hartmann House, Prince Edward High SChool and St George’s College. From the time that he was in primary school, Munengwa always wanted to be an employer, a decision he undertook after watching his parents and the working community in Glen Norah going to work but getting very little in return. However, he momentarily forgot about his vision after enrolling in secondary school, when he discovered that he enjoyed soccer as much as he wanted to be an employer and could actually become a full-time soccer player, instead of worrying about turnover and profit. His passion for football became so intense and even went for trials with Dynamos Football Club, but did not make it. Not only did his prospects in football diminish but he also flunked his O-Levels, earning the wrath of his father, who had high hopes for him. Realising that he would not yield much in sport, Munengwa went back to the drawing board and resolved to supplement the subjects he had failed. “It was while I was at Prince Edward that I learnt the art of life. I was exposed to real life and I learnt how to relate to people and I actually realised that I was a born marketer who could sell anything. My dream of becoming an employer was rekindled,” Munengwa recalled. Armed with good passes, Munengwa took up different jobs including working in an internet café, “pirating CDs” and in a clothing shop, while pursuing studies in marketing. His first formal job was with a refrigeration and air-conditioning company sometime in 2011, marking a turning point in his life. The job gave him the experience, the clientele and the leverage he needed to kickstart his own project should the need arise. It was after he had worked for the refrigeration company for a year that one of the pastors he had met at a business conference advised him to resign and start his own company. With only a few dollars in savings and his sports car doubling up as his office, Munengwa embarked on a transformational journey that was to change his fortunes for the better. Without a business plan or a modus operandi, Munengwa knew that he had to fully utilise his marketing skills to penetrate the refrigeration and air-conditioning sector, an area whose clientele was mainly corporate organisations and a few individuals living in the Northern Suburbs. “I got my first contract exactly three weeks after resigning from my job with the refrigeration company in 2012. The day that I got my first job was the day that I was left with nothing. “I was becoming desperate, because I didn’t have the faintest clue where I would get my rent, or food for my wife and twins,” said Munengwa, who gets his inspiration from Proverbs 3 verse 5. With his first pay cheque, Munengwa kept his needs very basic and immediately registered his company and processed the necessary papers to enable him to go into business full throttle. Having ventured into business at a time when other companies were folding up owing to viability problems, Munengwa knew he had to employ strategies that would keep the company afloat, by retaining its clientele, while spreading its tentacles into other cities. “With the fundamentals that I learnt from school, I appreciated that good business ethics are crucial in growing business. That has been my mainstay when conducting business and it has really helped me to widen my clientele base,” he said. Munengwa added that the current economic climate demands a good understanding of the client while offering good quality service to stay afloat. One of the crucial aspects of maintaining leverage in business is to have a mentor, Munengwa believes. “There is no one in the world who is successful and doesn’t have a mentor, something I learnt while I was still in school and it has really worked for me. “I am surrounded by awesome individuals whom I look up to and sometimes consult when I need to go to the next level. Businessmen like Dr Phillip Chiyangwa, Chomi Makina, Chamu Chiwanza and Strive Masiyiwa inspire me in so many ways,” he said. Munengwa, who has since set his sights high on growing his business regionally, urged the youths to think outside the box and work towards creating employment.